2018, Right time to update you about the latest taxi fares as the tariff cards has some good news for frequent travellers and also to those looking out for Cheap options to and from Mumbai to various locations like Thane and Navi Mumbai. Due to surge on technology move towards Mobile aggregators and various Android and iPhone apps to book your Taxi on rent which is more convenient and preferred way of calling a cheaper AC taxi on Doorsteps, Two major giants impact of Non being on Mobile Apps, Meru and TabCab one times top taxi service providers are those who are loosing on battle now in 2016. Cheapest rates as of June July 2016 are given by Ola cabs with options like Ola Micro with as low as Rs.6 Per Kilometre and Ola Mini with Rs.11. Stepping on number 2 position is Uber Offering similar rates as minimum fares bit higher then Ola cabs. Below is the updates rates as on tariff cards. See Also : Auto Fares in Mumbai city. * Fare Chart Courtesy Mid-Day. With the increasing fare of Auto Effective 1st June 2015, Taxi fares are getting up effective May End 2015 (Tentatively). Radio cabs (Fleet Taxis) see’s 4 fold minimum fare based on considering minimum of 4 km as distance (Instead of 1 km previously). With current minimum Rs.27 spent of this fleet transport of Mumbai, People have to spend minimum of Rs.90 which is really very high. This time the updated fares considers the cost of car and depending on same the charges will be levied to commuters. Below is the existing fare chart. Fleet taxi cost till Rs.5 Lakhs will have minimum charges of Rs.25 (For 1.6 Kilometers) and Rs.18 for every next Kilometre. Taxi costing between 5 lakh till 8 Lakhs will charge minimum amount of Rs.29 to commuters with Rs.20 on every next distance. If more luxurious taxi costing till 12 lakhs the one needs to pay minimum Rs.30 with Rs.23 for every other km. If you hire a more costly taxi costing anything above Rs.12 lakhs then Rs.32 will be the minimum cost applied and Rs.25 for every further. So, with the updated implemented fares, For below 8 lakh fleet taxi, It will be minimum Rs.90 with Rs.22 for every next kilometre (4 Km will be the minimum calculated here even passenger travels less then 4 km). Like the above fare chart, now if the taxi is costing between 8 to 12 lakhs the minimum fare will be Rs.100 with Rs.25 subsequently per km. That said, the branded taxi’s like Ola, Tab cab and Uber etc got a beautiful business opportunity in travel industry as the basic yellow an black taxi’s minimum cost of Rs.21 goes higher compared to Private tourist cool cabs that can be booked via Android and iPhone Apps, which is Rs.9 to Rs 12 for Air conditioned and Rs.8.50 to Rs.11.50 for (Non-AC) car taxi’s like Innova, Indica, Maruti Swift Dzire and Etios. Lets understand the difference in prices, cheapest cool cab, best radio fleet taxi in below table. Conclusion : Hope you got an idea on which one suits your travel requirement, cheaper with best low cost taxi options, Private / Tourist taxi options, Lowest cost Non Ac Taxi Options. In this run the iPhone and Android App based cabs available for booking seems to win the race by giving more of good service, safety and luxury to local and tourist commuters at lower cost. Updated : November 2013 Please Note that taxi rates (including Radio Cabs and Private Fleets) changes every now and then (Including regular yellow black taxis), We do update this list and provide the latest rates that apply. Yet consider this as a approximate fares which will sure give you perfect travel calculating idea. Aarya Cabs 27 NA 1 15 15 30 (Per Hour, Starting 15 Minutes Waiting Charges Free/Discounted) Same as Daytime. Yellow Black regular taxis charges 25% extra during Nights. Night timings are 00:00 (Mid Night) till Morning 5:00 Am. Road distance covered by Taxi’s (KM) can be known here. 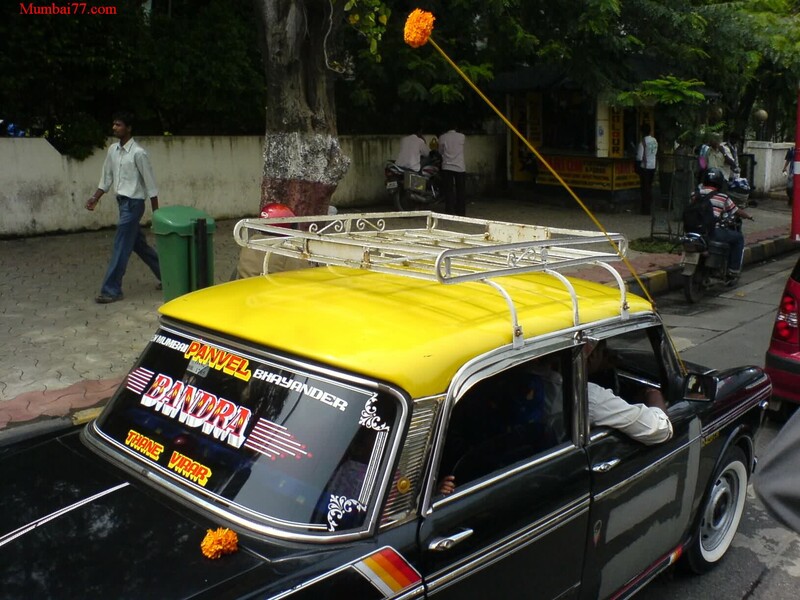 Mumbai do have share a taxi concept which helps you have enough money and travel cheap. Contact Taxi Lost + Found in case you left your belongings while traveling in city. Contact number we got as of 2009 are 022-23078409 and 022-23078414. Taxi fares applies within town limits, i.e Between Churchgate and Mahim in western route, Also includes CST area. Cheaper and Alternate to taxi is Bus Fares.